The once-quiet towns of the Grand Strand are being replaced by mega-structures for accommodation, dining, and entertainment. Images in this volume span the 20th century, chronicling the evolution of a resort once touted as "the world's greatest playground." 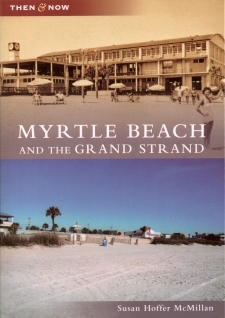 Featured are the former Myrtle Beach Pavilion, beach hotel expansions, and freshwater estuaries overshadowed by development. 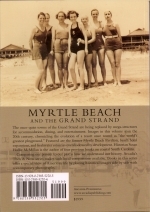 Historian Susan Hoffer McMillan is the author of four previous books on coastal South Carolina. Comparing our present to our past is how we understand our history. Arcadia's Then & Now series makes such local comparisons available. Books in this series offer a special view of American life by placing historical images side by side with contemporary photographs.